As we look forward to the Easter Holidays looking to wind down, we are also looking at things we can do to keep the children occupied. As a parent, it can be daunting to find the right activity to keep your kids busy, as sitting with the iPad or climbing the walls out of boredom are not what we want them to do all through the break. Luckily UFIT Kids Camps is coming to the rescue with a revamped, fresh-look program for 2019, that features a packed schedule to suit the holidays (as best we can at least! ), so that you can be sure your kids will have the time of their lives during the holidays and as parents you can have peace of mind. 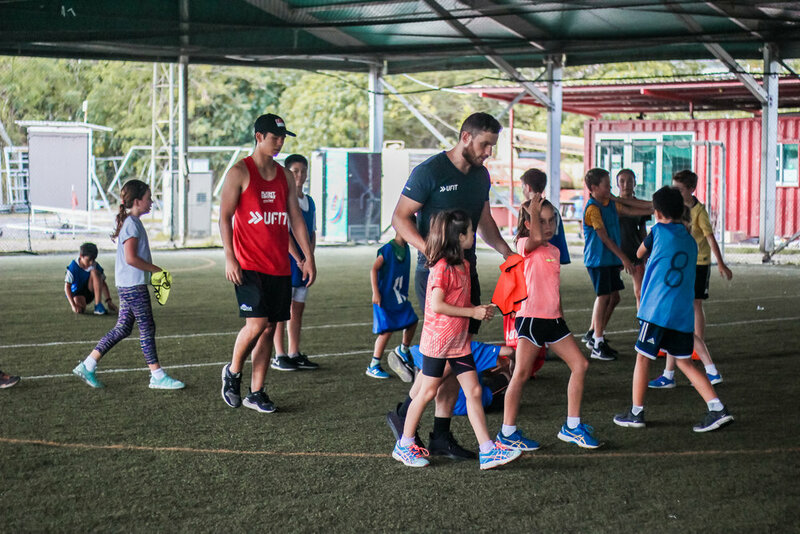 Chris Hodges, one of our UFIT Kids Camps Managers, gives the lowdown on the changes for 2019 and the benefits they bring about. With the new year comes an adjustment to the way we run our UFIT Kids Camps, providing the best possible development path for your children. One of the most exciting changes is that our Multi-Sports Camp will now run for ages 6-12 years, while our Sport-Specific Camps for a range of sports including rugby and football will cater for ages 10-16 years. The change is due to a very simple reason, it is best for your child! Intellectual, physical and sporting development is a very individual process, occurring at very different rates for everyone. In terms of sporting and physical development, a child’s main growth spurt is a very important milestone and should be a major dictator of what activities and exercise are best to develop sporting ability. This usually occurs around 12 years of age for girls and 14 in boys, but can vary by a few years either side of this. Speed and Agility Games - A variety of fast paced games with the aim of finding space or tagging an opponent, examples include bullrush, capture the flag and stuck in the mud. These will develop your child’s physical attributes as well as spatial awareness and teamwork. Strength and Conditioning - Each child will be taught key athletic movements such as the squat, deadlift and lunge by our qualified coaches. Mastering their own body weight while moving correctly will set the foundations for future gym work while improving sporting potential. It is vital this is done by a suitable and qualified coach, something we are fortunately blessed with at UFIT. Variety of Sports - Participation in a wide selection of sports is best for children under 12 years old, this will help them learn and develop a range of skills useful for all sports such as throwing, kicking, passing and tackling. It is no coincidence that some of the world’s best athletes are talented at more than one sport. We have a very simple aim with each one of these sections: keep it fun, engaging and safe. Our best in class coaches want to foster a passion for staying fit and healthy for life, while promoting a love for all sport. Once your child has hit their main growth spurt, specialising in their favourite sport or sports becomes more important. This is where our Easter Sport-Specific Camps come in! Children should look to start specialising in their chosen sport or sports around the time of their biggest growth spurt (also known as peak height velocity). This is very different for all children but generally happens around the ages of 11-14, with girls hitting peak height velocity sooner than boys. After this age children should progressively start to specialise in a select few sports. This should however not come at the expense of enjoyment. It should still be an aim of any sporting pursuit to foster a lifelong passion for exercise, both recreationally and competitively. UFIT Kids Camps will be providing two sport specific camps this April to help develop your child’s passion, enjoyment and skill in their chosen sport. From our base at CrossFit Bukit Timah there will be a Football Camp from 1-5 April and a Rugby Camp from 1-5 and 8-12 April. 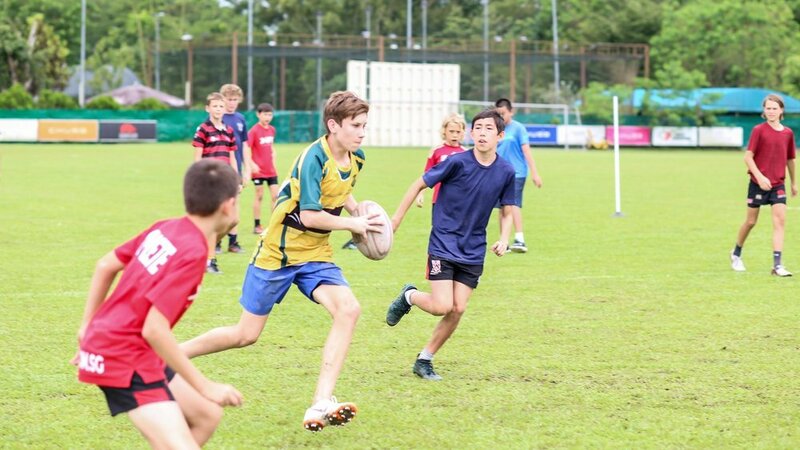 The second camp in particular should be particularly exciting with the lead up to the Singapore Sevens and rugby will very much be at the forefront of any sporting enthusiast’s mind. These aims have shaped our camp program to help develop your child into a future athlete. It is so much more than 5 hours in the baking Singapore sun and humidity! Sport-Specific Skills - Our highly skilled and qualified coaches will start the week by reinforcing the basics, if passing practice is good enough for Barcelona and the All Blacks then our kids must master them too. This will develop through the week to include more complex skills and execution of these basic skills under pressure. 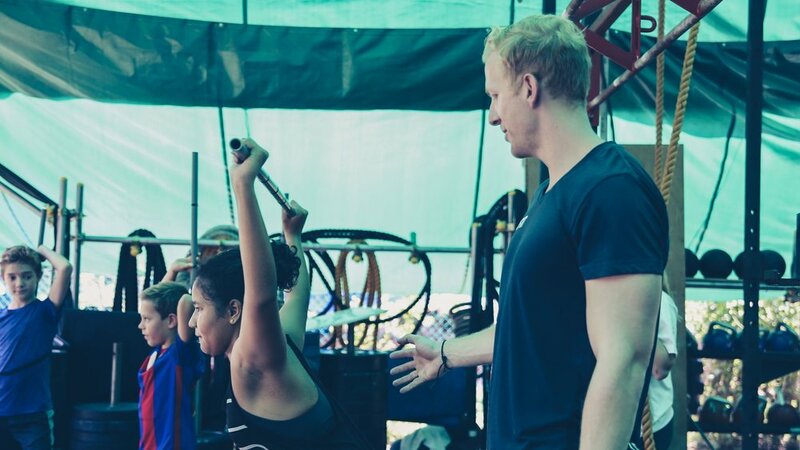 Gym-Based Work - With all of our coaches experienced with child development in the gym, this aspect has great importance for us at UFIT Kids Camps, and something only we do in Singapore. It is vital that children are taught how to move properly and safely. We are taught how to walk, so why not to run, jump and lift? Our coaches will teach the children exercises and movements that they can take home and use to continue their development. For those at a basic level this will include more body weight movements, while those that show themselves to be proficient at bodyweight, weighted exercises and an introduction to olympic weightlifting may be included. Education - Throughout all of our sessions we will be aiming to educate the children. Whether that is during the session about the importance of a thorough warm-up or during lunch about healthy food choices, we are always aiming to better the knowledge of our camp attendees. We will also have dedicated education sessions on components of bigger importance, such as nutrition, recovery and injury prevention. These are the things that are really going to matter as the children progress into adulthood. Does all this mean that all children should specialise in only one sport from 11 onwards? Absolutely not. Kids should be allowed to take part in sports that excite and get them enthusiastic about being active. Continuing to play multiple sports will help further all round sporting ability. Some of the greatest athletes in history were talented at more than one sport. What should happen however that the handful of sports your child does enjoy should be pursued, encouraged and nurtured into a lifelong appreciation and passion, whatever level they may play as an adult. *EARLY BIRD PROMO - USE THE CODE 10OFFSPECIAL AT CHECKOUT TO RECEIVE 10% OFF WHEN YOU SIGN UP FOR THE WEEK-LONG OPTION. OFFER ENDS 25 MARCH 2019.